Much of North America will experience a total solar eclipse on Monday, 21 August 2017. While many schools across the country will still not be in session, the Holyoke Re-1J School District is planning on taking full advantage of this rare opportunity. 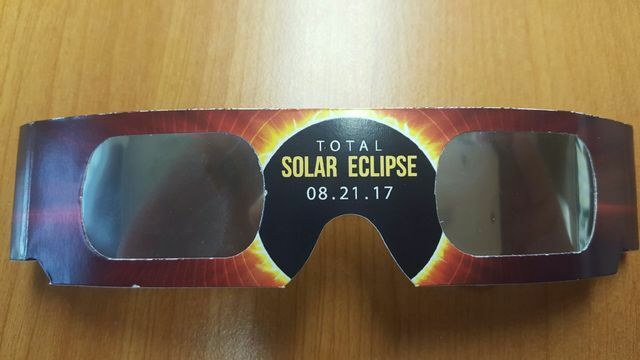 According to Ashley Clayton, JR/SR High School Science Teacher, "there are anywhere from two to five solar eclipses a year but the last time a solar eclipse of this magnitude, one that crossed over this many people, was in 1979." Clayton went on to say that the next time one this large will happen will be 2045. A solar eclipse is when the Earth's moon blocks our view of the sun on the earth's surface. Scientists and sun enthusiasts around the world use this opportunity to view and study the corona, the outer layer, of the sun, the only part visible during the eclipse. As people watch the eclipse, it is important to remember you are still looking at the sun and great care must be taken. Holyoke students will be given the following instructions for their viewing experience. Stand still and cover your eyes with your eclipse glasses or solar viewer before looking up at the bright sun. After looking at the sun, turn away and remove your filter — do not remove it while looking at the sun. Take frequent breaks from looking at the Sun. John McCleary, superintendent, announced that the school district has about 600 pair of glasses for students and staff to use during the day on Monday that were donated by local businesses. Kyle Stumpf, elementary principal, has announced that his students will spend from 10:20 - 12:05 in eclipse activities including eating sack lunches outside while viewing the eclipse. Clayton said JR/SR High School students will go outside after 4th hour to view and have a closed campus lunch while viewing. Those students will return to class for 6th hour.